Thanks to our friends at the National Sustainable Agriculture Coalition for letting us repost this well-written piece about a few of the most important beginning farmer programs at the USDA. This is the first post in our “What’s at Stake in the Farm Bill?” series that focuses on ten of the stranded programs and how their expiration impacts farmers and communities throughout the country. The next generation of farmers faces unprecedented challenges, including access to farmland, financial assistance and training. Cornelius Williams is a farmer in Michigan who took advantage of the 2501 Outreach Program to secure funding for his greenhouse. Photo Credit: Michigan Food and Farming Systems. Over the past century, our country has witnessed a significant transformation in our food system, including a dramatic reduction in the number of farmers who are successfully pursuing a career in farming. Although agriculture remains a bright spot in our nation’s economy, barriers to entry have also made it one of the hardest careers to pursue. The fastest growing segment of our nation’s farming population are now those over 65, and within the next decade, the majority of American farmers will be retirees. These alarming trends have served as a wake up call to Congress that more needs to be done to help young and aspiring farmers get started in agriculture. The farm bill has served as a vital resource in answering this call, and has over time, in response to proposals from the National Sustainable Agriculture Coalition and its member organizations, expanded support for programs that address some of the most significant challenges that beginning farmers face – such as lack of training opportunities, limited access to farmland, and access to financial resources including federal grant and loan programs. Several programs that have proven tremendously important in addressing these barriers have been unfortunate casualties of Congress’s inability to pass a farm bill, as funding lapsed last Fall when the 2008 Farm Bill expired. These “stranded” programs include the Beginning Farmer and Rancher Development Program (BFRDP), the Conservation Reserve Transition Incentives Program (CRP-TIP), and the Outreach and Assistance for Socially Disadvantaged Farmers and Ranchers Program (also known as the Section 2501 program). These three innovative farm bill programs, now on hold until Congress acts to restore funding, have already had a measurable impact on growing the next generation of farmers. Until Congress resurrects these stranded programs, the investments it has made in supporting new farmer programs on the ground thus far hang in limbo, with an uncertain future. June Marshall is a beginning farmer from Oklahoma and a member of the Kiowa tribe. She also leads the efforts of Mvskoke Food Sovereignty Initiative’s (MFSI) beginning farmer program, which is funded in part by the Beginning Farmer and Rancher Development Program (BFRDP). The training program has helped June and dozens of Native American and other farmers throughout Oklahoma reconnect with agriculture and get started in the field of sustainable agriculture. Aspiring and new farmers across the state have turned to MFSI for training in horticulture and livestock farming, organic certification, business plan development, grazing management, and sustainable growing practices. Over the short life of the program, June has already begun to see first-hand its impact on the Mvskoke community. She hopes Congress sees the importance of BFRDP as well: “…if we lose the funds, where do the young ones go for this type of assistance?” A lack of farm bill has already put a stop to MFSI’s future efforts to expand the program and farmers served with a new “distance-learning” option that would allow the program to reach farmers in remote, rural areas with few other available resources. A BFRDP grant also allowed a nonprofit organization based in Georgia to launch a farmer to farmer mentoring program that connects seasoned organic farmers with beginning farmers in their communities. Through Georgia Organic’s “Grow! Team”, mentor farmers provide new farmers with technical and moral support, first hand instruction on organic production practices, guidance on business planning, and marketing assistance. All of these aspects – production, financial, and marketing – are essential skills that any new farmer needs to have in order to be successful in launching a new farm business. BFRDP is the only federal program exclusively dedicated to training the next generation of farmers and ranchers, and over the past four years, has invested over $70 million to develop and strengthen 145 innovative new farmer training programs in almost every state across the country. Funding everything from production techniques to mentoring new farmers in how to develop a business plan, BFRDP has proven a critical resource in ensuring the success of the next generation of farmers – a generation that faces unprecedented challenges when pursuing a career in agriculture. Land access has become one of the biggest challenges for young and beginning farmers hoping to enter farming all across the country. Over the last decade, farmland prices have doubled nationwide and risen far higher in areas with development pressure, making the option to purchase farmland nearly unattainable in some regions of the country. In other parts of the country, it is not development pressure, but the inability to outbid more established farmers and farmland investors makes it nearly impossible for new farmers to successfully compete for scarcely available farmland. At the same time, retiring farmers often struggle to successfully transfer their family farm to the next generation and ensure the land remains in agriculture. That’s where the Conservation Reserve Transition Incentives Program (CRP-TIP) comes in. CRP is a federal conservation programs that pays farmers to take their land out of production for conservation benefits. Over the next several years, millions of CRP acres are due to expire, and that land will once again be available for agricultural production. Retiring or retired farmers hold many of these expiring CRP contracts. At the same time, limited access to land, discourage many would-be producers from entering agriculture. CRP-TIP aims to bring these two populations together to help beginning farmers acquire land while ensuring that natural resources are conserved on expiring CRP acres. Due to extremely high demand for the program, USDA has been unable to enroll any more farmers in this program since February of 2012, and CRP-TIP has been officially on hold since then. According to the latest Census of Agriculture, agriculture in the United States, like the nation as a whole, is becoming more diverse, as a greater number of ethnic minorities begin farming careers. 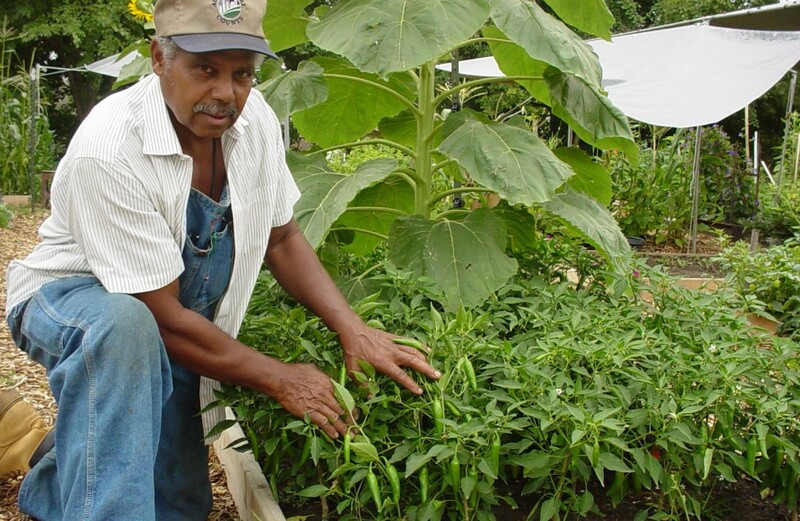 For decades, the Outreach and Assistance for Socially Disadvantaged Farmers and Ranchers Program (2501) has served as the only farm bill program dedicated to addressing the needs of African-American, American-Indian, Asian-American, and Latino family farmers and ranchers and providing outreach and technical assistance to this farmers in accessing USDA programs. Cornelius Williams has been farming for over 40 years on his family farm in the southwest Michigan town Cassopolis – the same farm he grew up on as a kid. Although he’s been farming for decades, Cornelius has still faced significant barriers in getting his farm business to the level it is now. What’s been his number one challenge as a farmer? Not knowing what’s out there to help his farm business thrive. The various grants and loans offered though federal and state agencies are not always easy to find or easy to apply for. Fortunately, a 2501 grant awarded to Michigan Food and Farming Systems (MIFFS) helps to fill in those gaps, and has helped inform farmers of color in Michigan about the many federal resources available to them and provided technical assistance in applying for programs. 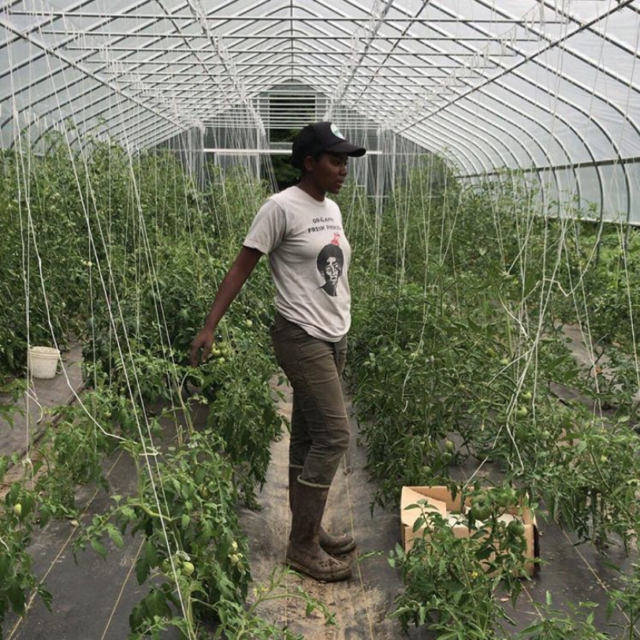 MIFFS’ outreach through the 2501 grant made Cornelius aware of the Environmental Quality Incentives Program – the same program that later helped fund a hoop house on his farm. Similarly, the Mvskoke Food Sovereignty Initiative (MFSI) used the 2501 program to conduct outreach to tribal producers throughout Oklahoma on USDA programs targeted at beginning farmers – such as federal credit, technical assistance and conservation programs. As a tribal member herself, June played a critical role in MFSI’s outreach program. She hosted field meetings and dedicated trainings where she talked to countless farmers about their specific farms and helped them understand federal programs. 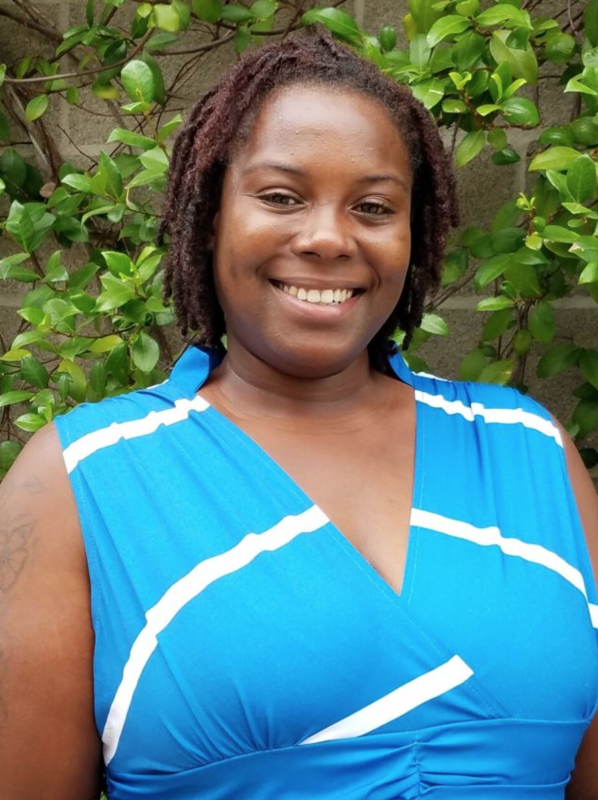 Many of these farmers may never have even stepped foot inside a USDA field office before, and if it were not for MFSI’s outreach program, could have probably lived the rest of their farming careers never having known about the resources available to assist beginning and socially disadvantaged farmers. Socially disadvantaged farmers and ranchers have been historically underrepresented in many USDA programs for several reasons. Over the past decade, the 2501 program has been absolutely essential in ensuring that all farmers are able to benefit from federal programs, especially those farmers who could most benefit from federal resources. What’s Next for Beginning Farmers? All three of these programs — BFRDP, CRP-TIP, and 2501 — are authorized through and funded by the Farm Bill. They each invest in the next generation of farmers by providing critical resources for new and aspiring farmers all across the country. They each have widespread Congressional support, as demonstrated through the mandatory funding each program received in both the 2008 (now expired) Farm Bill as well as the Senate and House versions of the Farm Bill currently being debated in Congress. However, all three of these programs, despite their broad base of support, have been stranded without any future funding since last October when the Farm Bill expired and were deliberately excluded from the farm bill extension cobbled together last New Year’s Eve as Congressional leaders wreaked havoc over the impending fiscal cliff. Over the years that these programs have been up and running, they have developed committed constituencies made up of countless farmers and ranchers and community based organizations that work with them across the country. Over 1,600 farmers have taken advantage of the Transition Incentives Program in order to gain access to their first plot of cropland. Over 125 organizations have used the Beginning Farmer and Rancher Development Program to build new farmer training programs from the ground up in almost every state in the country. Educational institutions and groups who work day-in and day-out alongside minority and tribal producers have used the 2501 outreach program to help thousands of farmers gain access to the critical resources that USDA provides in order to make their farm viable and successful in future years to come. For those of us who work with beginning farmers and are concerned about who will grow our food in the future, there is a ray of hope amidst all the political theater and stalemate on Capitol Hill. Congress clearly recognizes the importance of these programs, as funding was provided for all three of these programs in both farm bills that passed out of the full House and Senate. However, tremendous political obstacles remain in the way of getting a new farm bill passed and signed into law. It is critical that Congressional leaders get serious about reaching a deal on how to pass a full and fair Farm Bill or, if not, get serious about another Farm Bill extension that would restore funding for the innovative programs that were left out of last year’s deal and whose constituencies were told, in essence, that they don’t matter. NOW is the time to tell Congress what is really at stake in the current Farm Bill fight, and why new and beginning farmers cannot wait for another late night deal that may once again leave them in the dark. Click here to learn how you can help the National Sustainable Agriculture Coalition fight for a better farm bill.